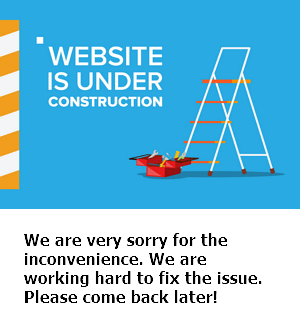 Спасибо Indiway. Купили билеты за вообще смешные деньги, по сравнению с ценой на месте. Больше всего понравились водные аттракционы( я не имею ввиду горки в Marina Park). Spend a day full of joy in Bangkok's the most famous amusement and water park - Siam Park City. An internationally acclaimed amusement and water park, Siam Park City in Bangkok is the biggest amusement park in Thailand, and is home to the world's largest wave pool certified by Guinness World Records and has one of the two largest suspended looping coasters in the world! A proof that Siam City is well-loved is it is the longest running theme park in Thailand! The park is well known for its amazing rides and attractions and its proximity to Suvarnabhumi International Airport. A perfect welcome for tourists who want to escape the busy city! Take advantage of this great deal at Siam Park City Bangkok! Get your Siam Park City Bangkok tickets at great discounted rates here at Indiway! ✓ Bask in the sun and get ready to get soaking wet at the water park! 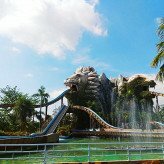 Whether you like thrilling slides, or you just want to laze around and have fun, Siam Park City always has something to offer with its wide range of attractions. 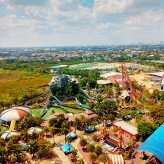 This recreational park is the biggest amusement park in Thailand! Make sure not to miss the World's Largest Wave Pool as certified by Guinness World Records! The rainbow slide called Speed Slider is popular for Thais and tourists alike! It is the highest in Southeast Asia and it was once recorded as the world’s highest by the Guinness World Records. ✓ Siam Park City is a great way to have fun with loved ones and is a perfect attraction for people of all ages! The park is divided into 5 themed zones: Water Park, X-Zone, Family World, Fantasy World, and Small World! If you like challenging rides, head on over to X-Zone for an adrenaline rush with these thrilling rides! Make sure to visit Family World and Small World if you are bringing your kids with you! Create memories with the whole family and enjoy a day of endless fun and entertainment at Siam Park City Bangkok!